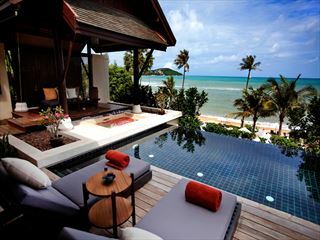 There's plenty to get excited about at Mai Samui as from elegant colonial-style architecture to those all-important views over the Andaman, this is a traditional Thai retreat with more than a hint of laid-back luxury. 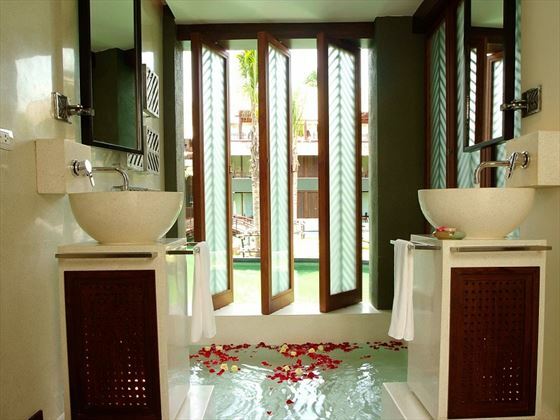 Some of the resort's villas and suites are simply stunning with a great choice of sea views from infinity pools, whirlpool tubs, balconies or terrace areas. Families will be more than comfortable with the clean and safe surroundings and plenty of options for children who like to learn and have fun in the sun. 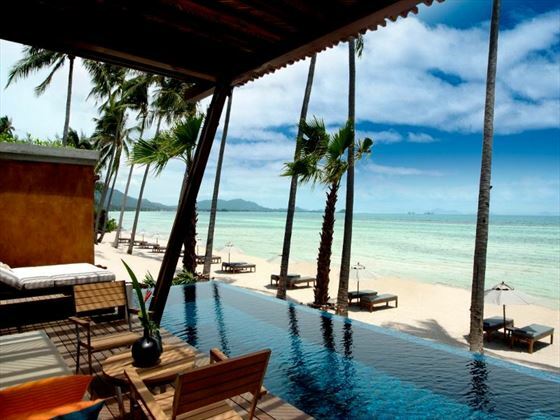 From days spent at the beach or getting pampered at the spa to exploring the local area by mountain bike or sea kayak, Mai Samui has got the lot and even if you just fancy supping cocktails by the pool, this is your chance to sample Koh Samui at a pace that's all about you. 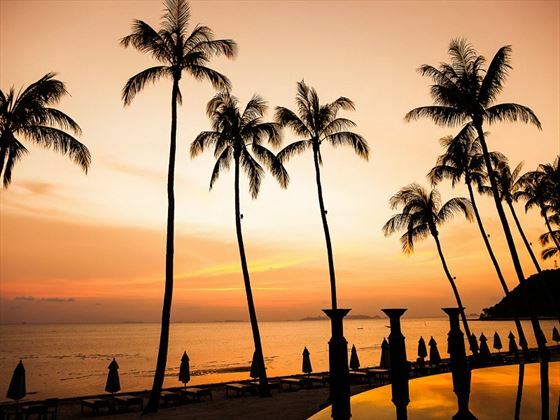 Situated on a three kilometre stretch of private, secluded beachfront with calming turquoise waters and white sugary sand, the resort is fringed with luscious swaying palm trees on the West Coast of Koh Samui. Fascinating attractions lay within easy reach of your resort; Just over half an hour away sits a number of landmarks, including the famous mummified monk, Luang Pordaeng, who passed over 20 years ago and still remains with few signs of decay; The Secret Buddha Gardens are hidden away amongst the high hills of Koh Samui, offering incredible views amid lush jungle surroundings; The picturesque Na Muang Waterfalls, surrounded by natural staircase formations, stunning pools and breath-taking vistas, along with the Na Muang Safari Park, are just over 30 minutes away. The Wat Plai Laem and Big Buddha are just over 40 minutes away, offering fascinating history and sights. 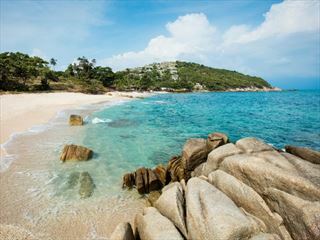 • The resort is a 30 minute drive away from the island’s international airport. 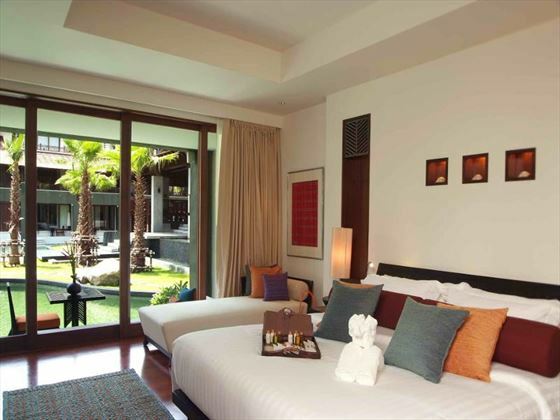 Deluxe Rooms – king-size bedroom, living room with sofa bed and includes either a private balcony or terrace area with tropical garden views and a spa bath perfect for two including full length windows to enjoy the warm breeze. 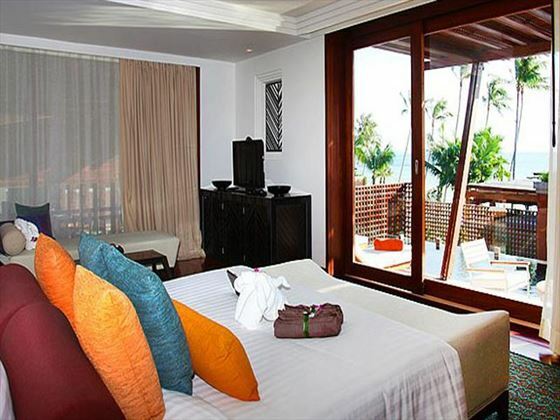 Deluxe Seaview Suite – are the same size and include the same amenities as the Deluxe Rooms, however, include stunning sea views from the private balcony. 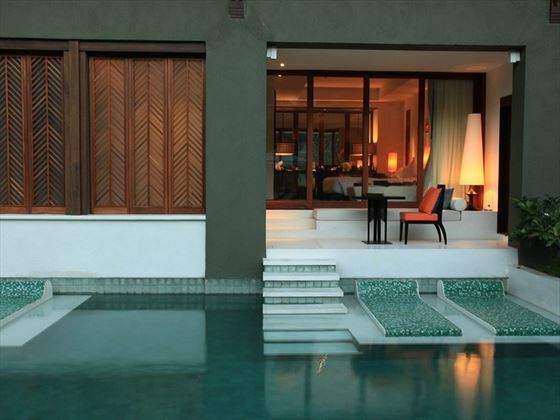 Deluxe Pool Suite – larger rooms which include a private elevated infinity pool, Jacuzzi tub, upgraded amenities and a second floor location to make the most of the sea views. 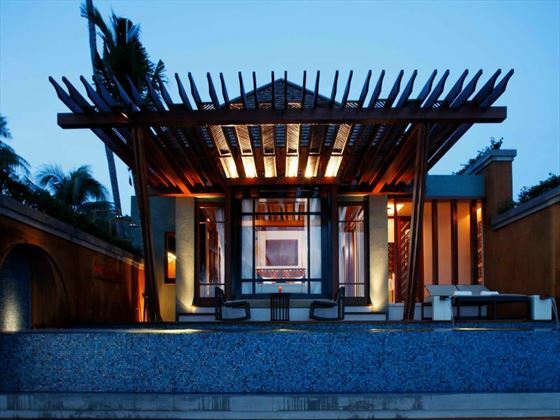 Mai Pool Villa – are around the same size as Deluxe Pool Suites and stand alone with private pool, Jacuzzi, large outdoor terrace, upgraded amenities and the ultimate in ocean views. Fine-dining Sala – lunch and evening meal options including freshly caught and cooked seafood as well as pasta, pizza and splendid choice of wines from the cellar. 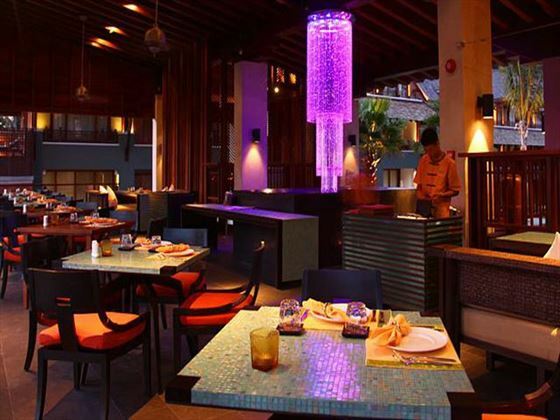 Mai Pub & Restaurant – tapas-style Thai dishes as well as drinks and cocktails in lounge bar ambience. Beach BBQ Club – drinks, snacks and grills served from 11am till 8pm at the beach. 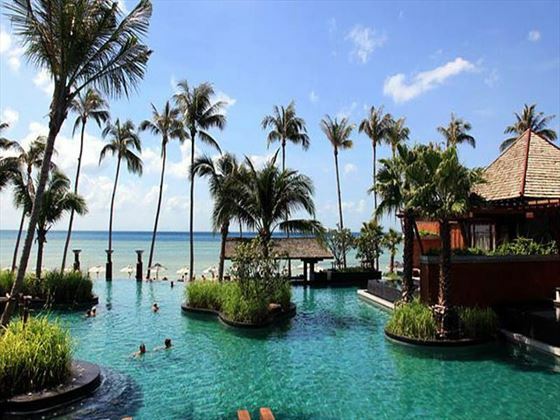 Sand Bar – light bites and drinks by the pool. 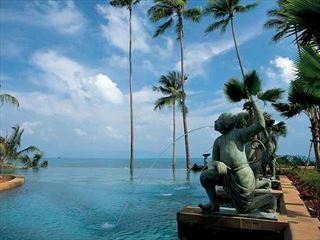 Pool Bar – an alternative pool location for refreshments as well as fantastic ocean views. 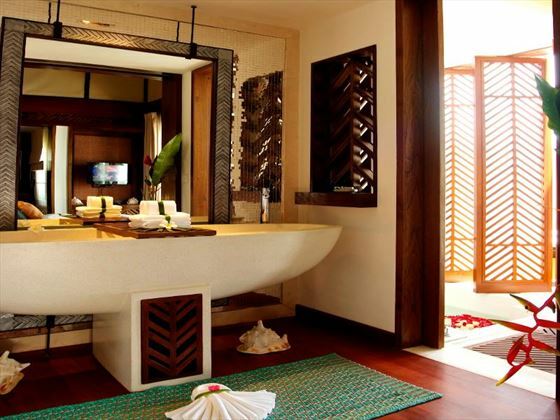 Set on the glittering waters of the Gulf of Thailand, in tranquil Fisherman’s Cove at Bo Phut beach on Samui Island, the Anantara Bophut Koh Samui Resort is surrounded by tropical gardens and offers traditional southern Thai architecture and a fantastic Spa. 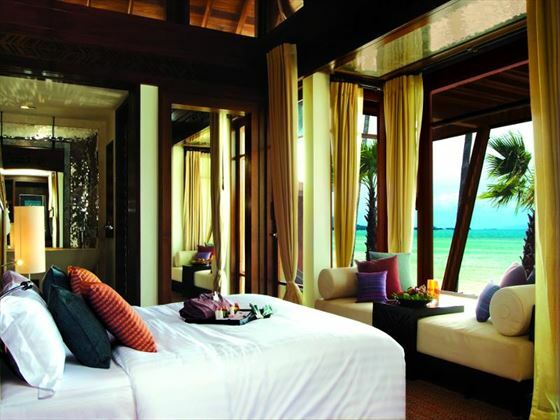 While Anantara Lawana Koh Samui Resort’s location is quiet and tranquil, the buzz and excitement of Chaweng Beach lie just around the corner, with an array of international restaurants and local shops to take care of your every need.